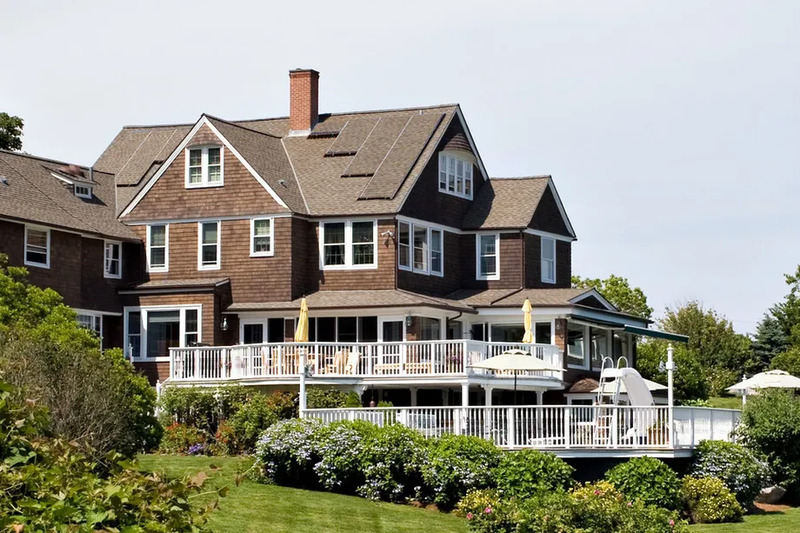 There’s a lot of buzz around Boston-based Sistine Solar, and for good reason: their product allows homeowners to customize how their solar installation actually looks on the roof of their home. Sistine Solar’s innovative new solar technology is designed with the aesthetically-focused solar shopper in mind. What does Sistine Solar offer for solar shoppers? In March 2018, Sistine Solar announced the launch of their SolarSkin Design Studio™, an online portal that lets homeowners custom design the way their solar installation looks. With the SolarSkin Design Studio, homeowners can take control of the appearance of their solar power system by using the company’s unique SolarSkin technology to build a better looking solar system. Homeowners can create a solar panel array that mimics the look of their roof – or displays any sort of design they might want. Sistine Solar’s SolarSkin technology is proprietary, and the company doesn’t release detailed information about how it works. The basic idea is that it offers improved light filtration, allowing incoming light to pass through the overlying skin to the solar cells below while still clearly displaying the image on the panel array. Sistine Solar offers several tiers of solar panels and skins for their panels. According to their website, all of their offerings are high-quality monocrystalline panels from companies like Solaria and LG. They also offer active monitoring solutions lasting from 10 to 25 years for their installed arrays, and a “Peace of Mind” warranty for 10 to 25 years. For installation, you have the option of Sistine Solar performing the installation themselves (in California, Massachusetts, New York, New Jersey, or Rhode Island), or working with one of their trusted partner companies. As with any solar product, there are two sides to Sistine Solar’s customized SolarSkin panels. If you are a solar customer who cares a lot about the aesthetics of your solar installation, Sistine Solar’s product could be right up your alley. Many homeowners who want to install solar don’t love the look of a large black or blue solar panel array on their roof. Sistine Solar gives those solar shoppers a perfect way to take advantage of the sun’s energy while maintaining the look of their home. If you are a business owner, you could even turn you solar panels into an advertising opportunity by embedding a company logo or picture on your solar array. More generally, going solar with Sistine Solar (or any reputable solar company) is a great way to save money, lower your environmental impact, and increase the value of your home. Sistine Solar claims that homeowners can save 30 to 50 percent on their electric bill while also increasing their home value. Powering your home with solar energy is an environmentally and fiscally responsible decision for most homeowners, and Sistine Solar is one company offering a way to generate electricity from the sun. While the SolarSkin is a game changer for some solar customers, it comes with a premium price tag. Sistine Solar says that their systems cost around 10 percent more than a typical installation without SolarSkin. For a 5 kilowatt (kW) rooftop installation, that would bump up the price before incentives and rebates by about $1,500, assuming pricing is comparable to quotes found on the EnergySage Solar Marketplace. A second concern with the SolarSkin is its potential impact on solar efficiency. Anything that blocks sunlight from reaching solar panels, like dust or shade, will reduce the amount of electricity a panel can produce. As mentioned above, Sistine Solar claims that their product has minimal impact on panel efficiencies, and their product is currently in testing thanks to funding from the Department of Energy. Only further research and testing will tell exactly how much of an impact the SolarSkin has on energy production. Sistine Solar offers a unique and exciting solar product. For aesthetically-focused solar shoppers willing to sacrifice a little bit of efficiency and money, designing a solar installation via Sistine Solar’s design studio can be a solid option for an initial quote. Sistine Solar is just one of the options available to homeowners and businesses considering solar. To get a good understanding of all of your options – in terms of aesthetics, electricity production, and cost – compare your offer from Sistine Solar to other local installation companies. You can use the EnergySage Solar Marketplace to get quotes from pre-screened solar companies near you, and even upload your Sistine Solar quote (or quote from another slar company) to make side-by-side comparisons even easier. Posted on March 13, 2018 by Jacob Marsh. If you know a firm willing to install 5 kw for $15,000 total system price please have them call me as none of your previous contacts would consider $3/watt. In fact no contact would even discuss $/watt as it cuts out all the BS negotiations they profit on. I got cash in bank and ready to buy from scrupulous customer focused provider today. 93536 zip code.